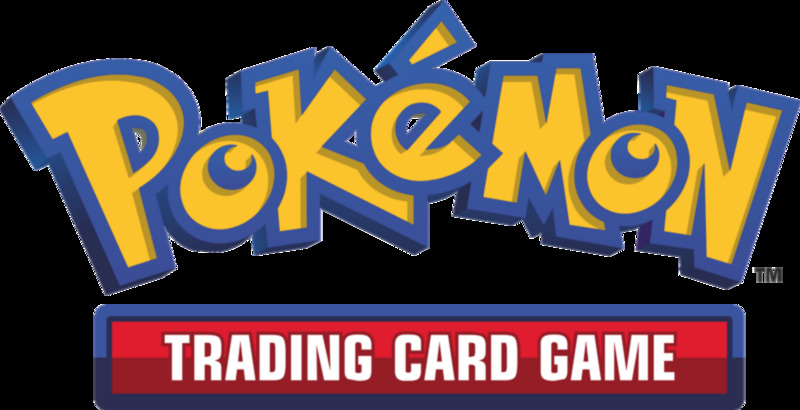 Many of us collected Pokemon cards as kids, and that tradition lives on to this day; if you look, you can still find most local stores packing some cards. To be honest, though, I didn't even know how to play when I was young, I just liked collecting and trading the cards. As an adult, I can now appreciate the care players utilize when building their deck, and I still love to scour through cards and find the best of the best. Recently, I stumbled upon the Team Rocket Returns expansion, which features several "Dark" Pokemon. Impressed with both the artwork and the cards themselves, I wanted to share this set, so let's countdown the six best Dark Pokemon from Team Rocket Returns! Basic Pokemon can be played from your hand as you like. Stage 1 Pokemon are evolutions that must be played on a corresponding Basic Pokemon. Stage 2 Pokemon are further evolutions to be played on corresponding Stage 1 Pokemon. Gyarados, a fan-favorite Pokemon in both the video games and the TCG, steals today's sixth spot. A Stage 1 Pokemon, it'll come in with a nice 80 Hit Points, a weakness to Electricity, and a resistance to Fighting. 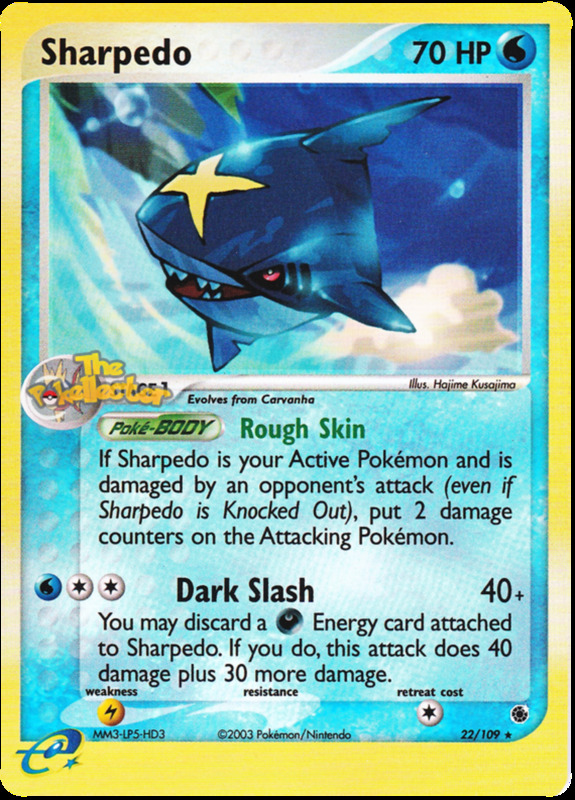 Dark Scale (Poke-Body) Upon feinting, deals 30 damage to the Pokemon that defeated it, a nice way to land some free damage. Dark Streak (3 energy) Scores 40, and its effect has a 50% chance of Paralyzing your opponent. If you're in a Double Battle, both foes will be Paralyzed. 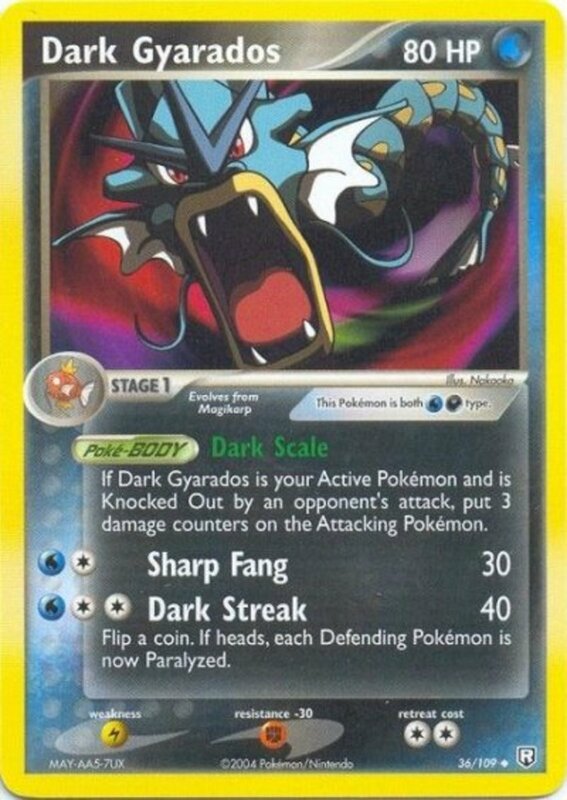 In essence, Dark Gyarados is a strong Pokemon that can both take and dish out damage, a worthy representation of the fierce creature. Get the energy for Dark Streak ready as soon as possible and you'll go far. Also note that several of today's cards possess two elements, triggering several Weaknesses and Resistances; in this case, Gyarados counts as both Water and Dark. In the video games, Raticates are never used competitively, and rarely last long in the story mode of Pokemon games, so it's nice to see the rodent finally earn some respect as a trading card. Dark Seed (1 energy) Prevents the opponent from retreating the next turn, and puts 5 damage counters (50 damage) on them at the end of their next turn. I know the damage gets delayed, but 50 damage for one energy works wonders. Spread Poison (2 energy) Deals 10 damage, Poisons your adversary, and inflicts 20 damage to one of their Benched Pokemon. 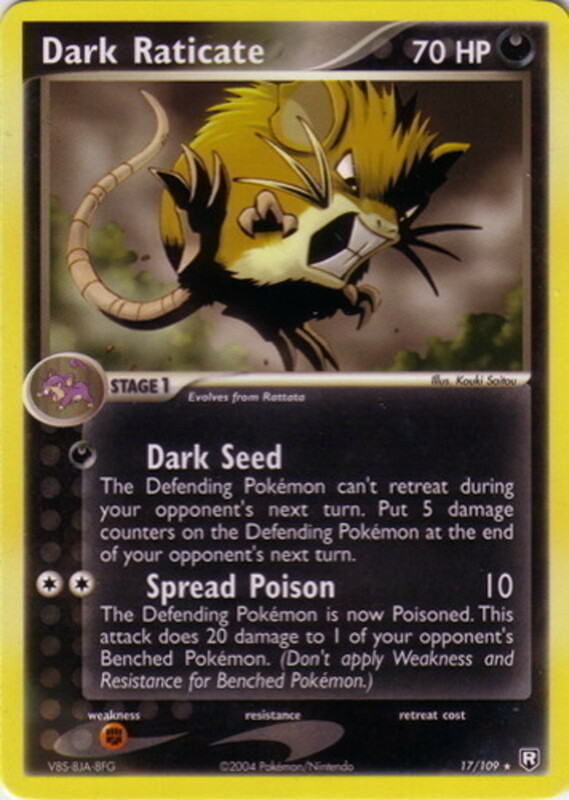 Dark Raticate can retreat whenever it likes, and use a variety of tricky attacks early thanks to their low energy costs. Give him a try and see what you think! Black Beam (Poke-Power) Lets Crobat Poison a foe each turn as long as Crobat has no status effect. 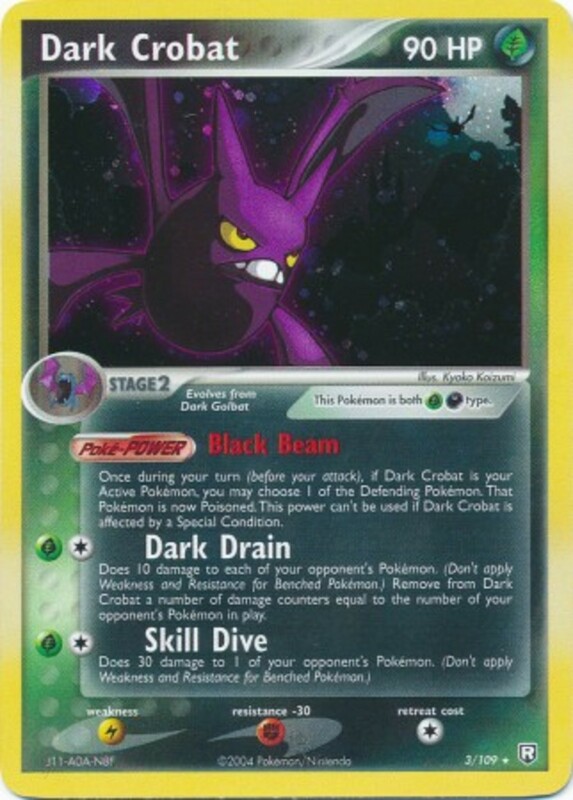 Dark Drain (2 energy) Does 10 damage to all opposing Pokemon, and Crobat regains health equal to the total amount dealt. This attack becomes incredibly potent when your opponent focuses on building their Bench, letting you spread some heavy damage while rejuvenating Crobat. Skill Dive (2 energy) Deals 30 damage to one foe of your choice and ignores resistances, a good way to finish off more dangerous targets or Benched creatures. 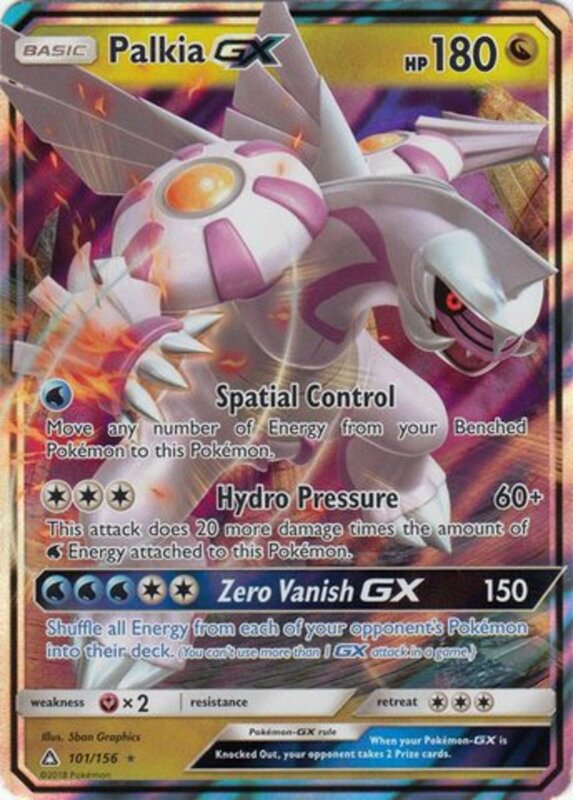 Throw in a resistance to Grass plus a miniscule Retreat Cost, and Dark Crobat earns its place in many decks for its Bench-decimating potential. Once you evolve your Larvitar twice, you'll be rewarded with this mighty, 120-HP titan. 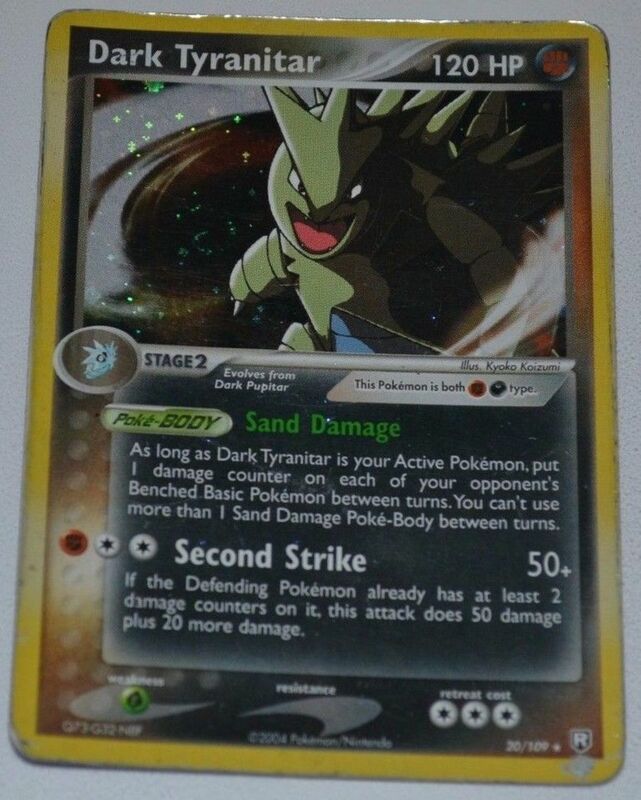 Sand Damage (Poke-Body) Deals 10 damage to each opposing Benched Pokemon between every turn. It's essentially Poisoning all of them for free, and thankfully functions even if Tyranitar is suffering a status condition. Second Strike (3 energy) Mashes 50 damage, plus 20 more if the Defending Pokemon has at least two damage counters already. 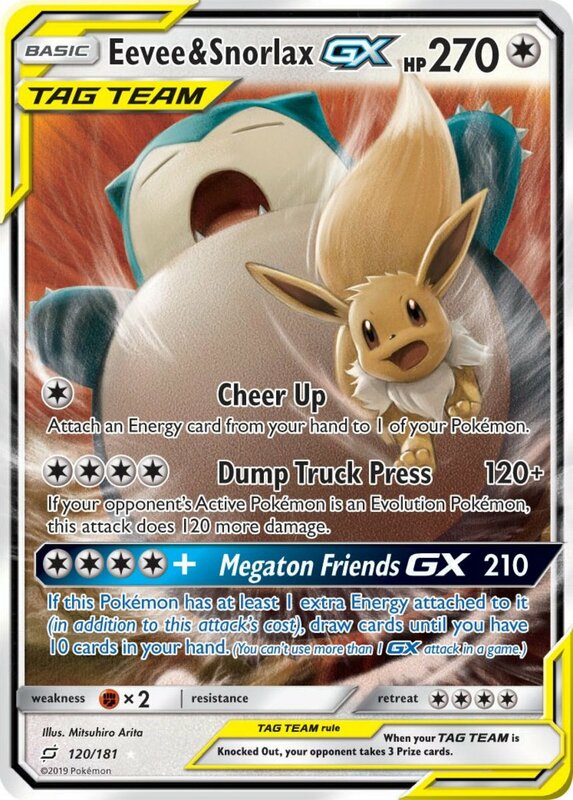 This combos well with Sand Damage, which often puts two or more counters on opposing Pokemon before they hit the field. Dark Tyranitar is weak to Grass, and takes three energy to retreat, but those are small prices to pay for its formidable abilities. This Stage 2 has some awesome traits. Like Tyranitar, it begins with 120 Hit Points. 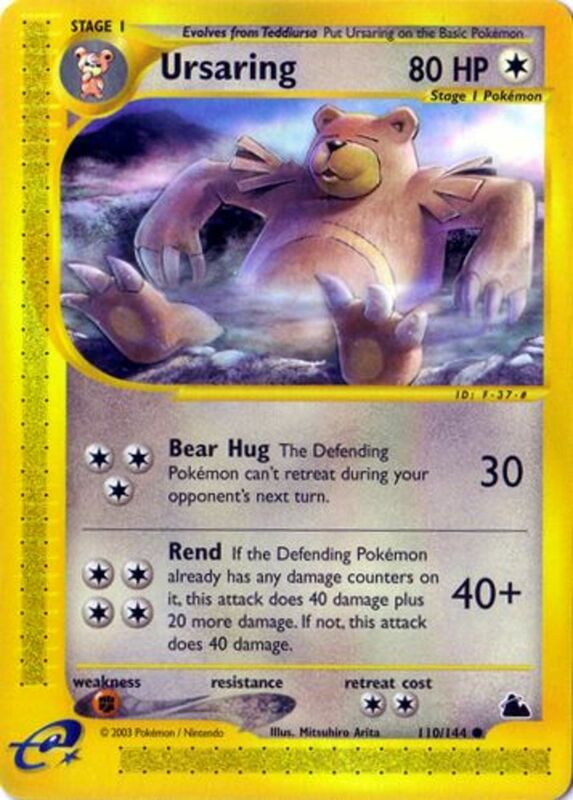 Unlike Tyranitar, it only takes two energy to retreat, and has two resistances, Grass and Fighting. 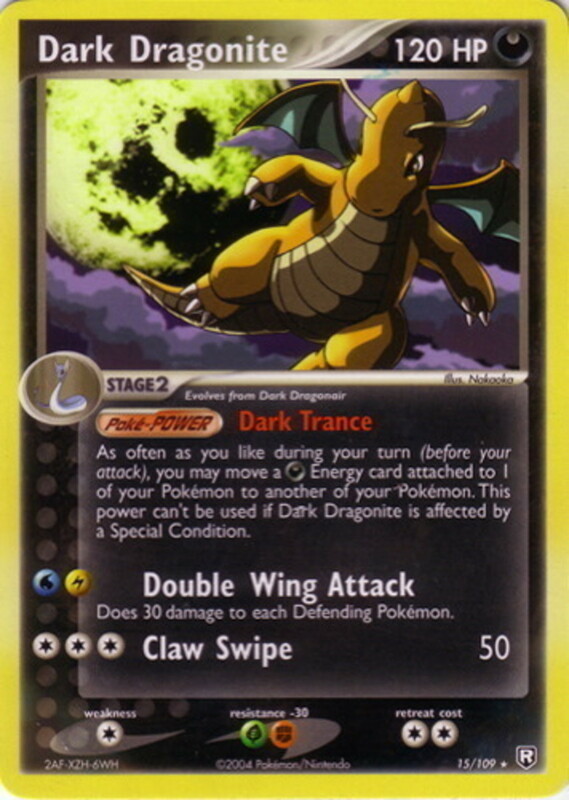 Dark Trance (Poke-Power) Allows you to (as long as you don't have a status condition) move Dark energy from any of your Pokemon to any others. Dragonite's attacks don't require Dark Energy, but they can help pay for Claw Swipe, and this lets you distribute them amongst your other monsters as necessary. 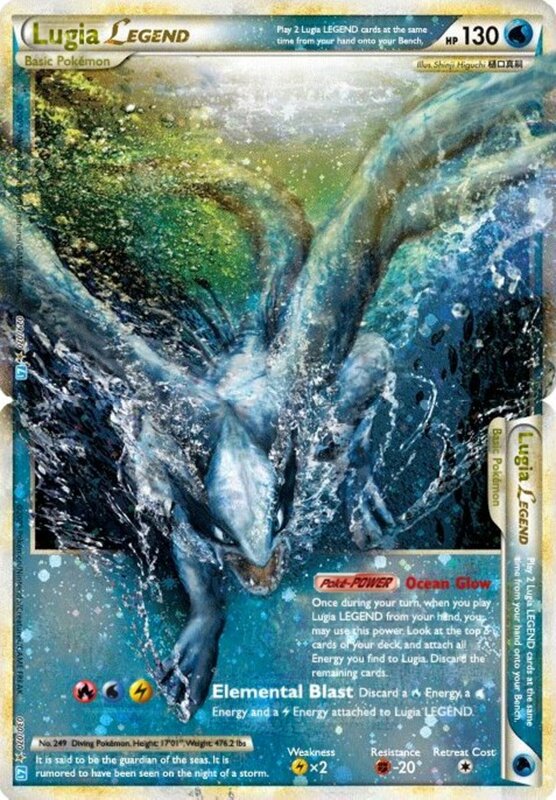 Double Wing Attack (2 energy) You need a Water and an Electric energy to use this technique, and it'll deal 30 damage to your opponent. It hits both foes in a 2-on-2 match, but the rarity of those matches and the specific energy requirements hamper this move. Claw Swipe (3 energy) Simply slices 50 damage to your opponent. If this attack only had a secondary effect, Dragonite would have placed first today. 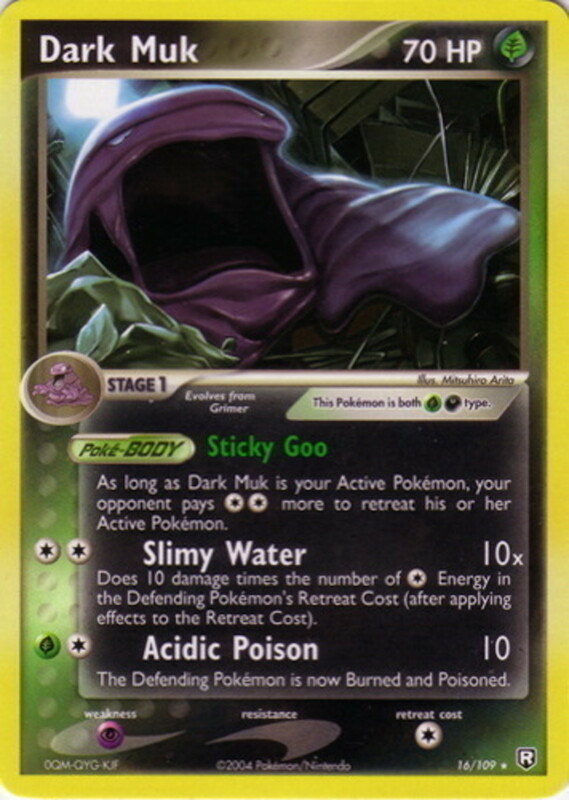 As is, that spot goes to a different classic Pokemon..
Sticky Goo (Poke-Body) Adds two energy to the Retreat Cost of your opponent. Slimy Water (2 energy) Nets 10 damage times the number of energy in your opponent's Retreat Cost. Thanks to Sticky Goo, this will be at least 20, but often deals 30, 40, or even 50 damage. Acidic Poison (2 energy) Hits for a whopping, incredible.. 10 damage. However, it Burns and Poisons your foe, making them take severe damage each turn. Dark Muk should first Poison and Burn your foes, then finish them with Slimy Water. 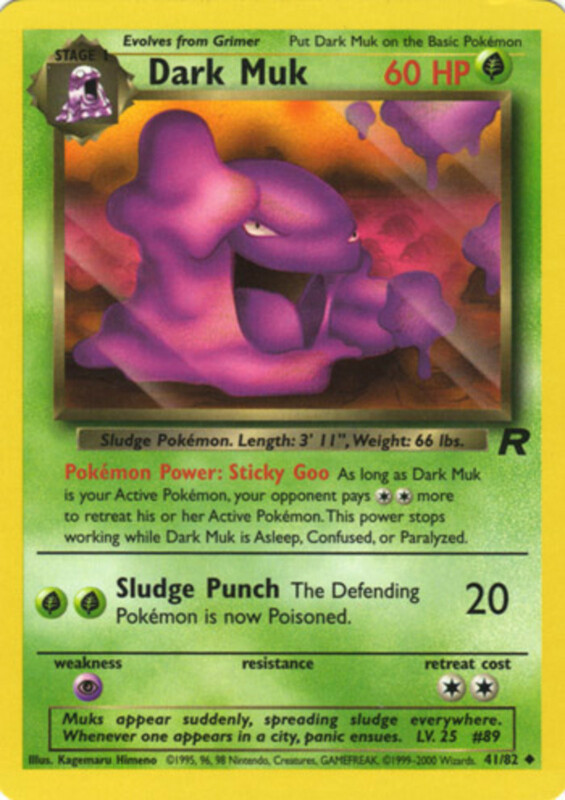 Dark Muk hinders foes from retreating but can do so easily itself, cementing it as the most lethal Dark Pokemon. Hopefully you've learned some of the awesome capabilities of these powerful cards. It's been awhile, but I hope we get to see more Dark creatures in the future. For now, feel free to vote for your favorite, and I'll see you at our next Pokemon countdown!